Shigeno Araki is the fourth generation of Castella Nagasakido which is approaching its 100th year anniversary. She was born the eldest of two sisters in the city of Suomachi, Osaka and spent the first 20 years of her life in Osaka and then graduated from the Osaka University of Arts having majored in Design. Receiving many awards from a very young age through personal exhibitions and her own production work, she received much media attention and was a labelled an arts genius. Although having thought about pursuing Arts, as a means of avoiding conflict and worry from her parents and to help develop the company through her ability in production design, she decided to pursue the path of becoming a Designer and enrolled into the Osaka University of Arts. She got married during her time at University and upon graduating immediately joined Nagasakido as an employee. Having learnt from her parents who were in the position of company president and vice president, immediately upon the company change of ownership she released the company labels ‘Quolofune’ and soon after ‘Zenkashoin’ which enabled an even greater form of expression and development, which had not been present in the past. She oversees all aspects of brand creation, from product development to concept, design and spatial design. She is currently the president of Zenkashoin Corporation, the president of Nagasakido Corporation and the art director of Gallery SUGATA. She has further received many honours for her work including the 2001 Japan Package Design Award Grand Prix, twice the Special Award and once the Silver Award. As well as national she has also received many international awards including the Pentawards 2010 Gold Award, the Red Dot Design Award Best of the Best 2010, the New York ADC and the London International Award. Not only awards but she has also held many of her own exhibitions to great success. I strive to bring out the highest quality of texture, touch and feeling for each material and rather than just look at one genre, I believe it is of significant value to take into consideration all directions for when searching for new inspiration and ideas. Through this I believe the design will be able to stimulate all five senses within a person. For many females being able to feel a product as ‘beautiful’ and ‘delicious’ are key aspects to their happiness which then lead to the action of purchase. I would like to be able to reach out to the female senses through such design. Yeşim Demir Pröhl, (1968 / İstanbul). Graduated from Graphic Design Department of Mimar Sinan Fine Arts University Istanbul in 1992. Between 1992-2003 she served as art director at Young and Rubicam /Reklamevi , Repro and RPM Radar/CDP Europe. 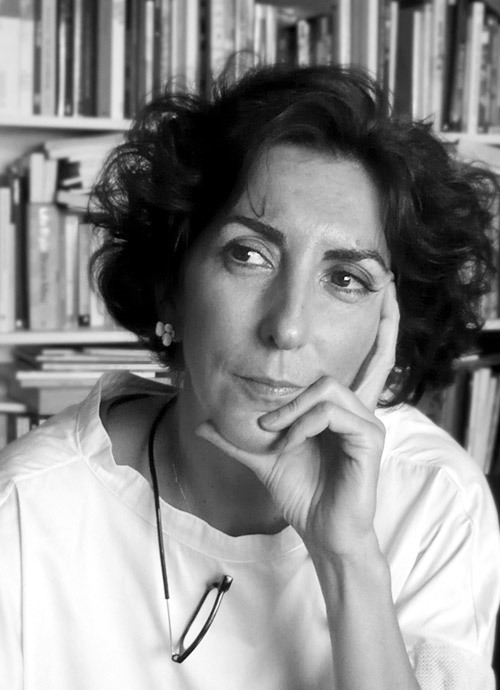 She has won many awards in different categories in national design competitions of The Turkish Society of Graphic Designers (GMK) between 1993-2013, including Eczacıbaşı Foundation Young Graphic Designer of the Year 1995, Emin Barın Logotype award 2012, Tüyap Book Cover award 2015. She won Yunus Nadi poster award in 1998. 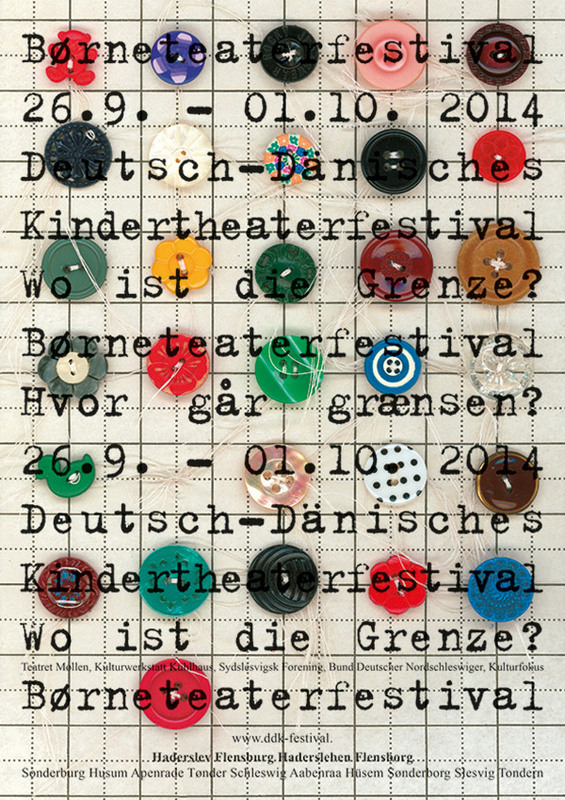 Her posters were exhibited in Duisburg, New York and Taiwan. 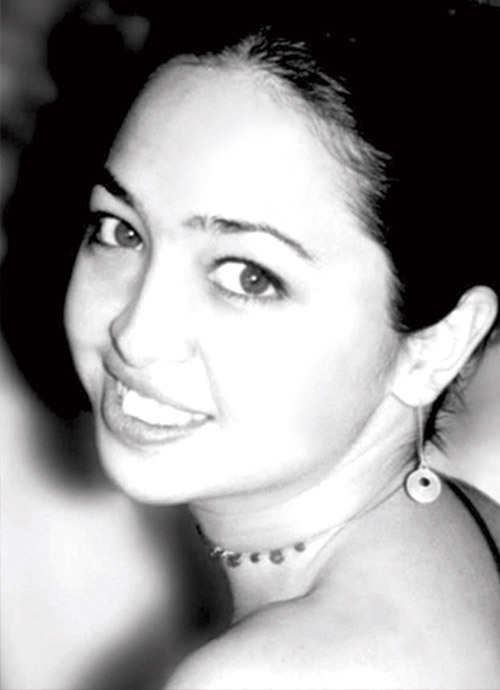 She founded her graphic design studio ‘’Demir Tasarım’’ in 2003. Demir was the Chairman of the board of GMK between 2005-2012. She was elected as the Vice President of International Council of Design (ico-d -former ICOGRADA) in 2011 and reelected in 2013. She is a lecturer at the Mimar Sinan Fine Arts University Graphic Design Department. She has given lectures in semninars in Turkey and abroad; and invited as a jury member in national and international contests such as AWDA, Emzin -Ljubljiana, Yahşibey Workhops, Grafist 14, Taiwan International Design Competition. She served as a member of the advisory board of 2nd Istanbul International Design Biennial in 2014. She’s currently running design practice in her studio in Istanbul. 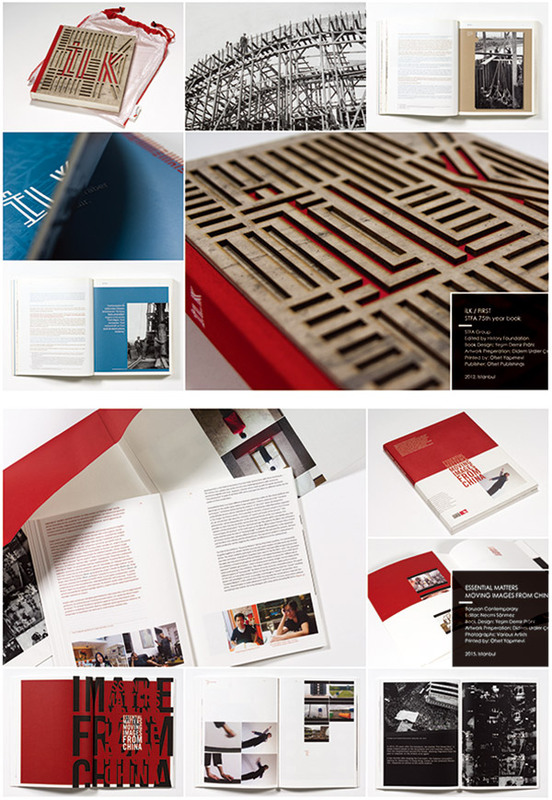 A book or an exhibition can be designed in many different ways. According to me -which I believe also by all the designers- the primary issue is focusing on the content. Exhibition, book or identity design is a tool, enholding a series of editorial or visual necessities in which information needs to be organised as a holistic result. For me in forms out. Which ever category of graphic design we are practicing on, I believe the information that is held in the body we are structuring is actually the real designer. We as graphic designers need to be good listeners of the content first. Then pass the organised information to the observer or reader to percept the content in a definite and absolute way through timeless or trendy styles. Content itself is a social act. Therefore design is a social act too and making an idea, a collection, a research, a fact or a theory visible through design has a social value. Being a woman designer is actually not a topic I think of very often. Trusting our insticts, being able to link everything to each other, thinking in multiple layers, ability of multi tasking, being a good listener... Are these only feminine assets? I guess not. For me being a woman is not effecting the way we design. We as designers, all of us listen to the content or the reasons behind a graphic design question, ask questions, run after perfectionism, try to be our best version, avoid problems, solve and organize complicated tasks and learn from our mistakes. I guess this is how a gender free mind in design practice works. However a mind set that works both in deductive and inductive method, patience, looking ahead of a context in many further steps can be a natural part of our programming. What forms a designer is not the gender but the habitat she or she lives in. What forms us is not only the things we do, but also the ones we don’t choose to do. 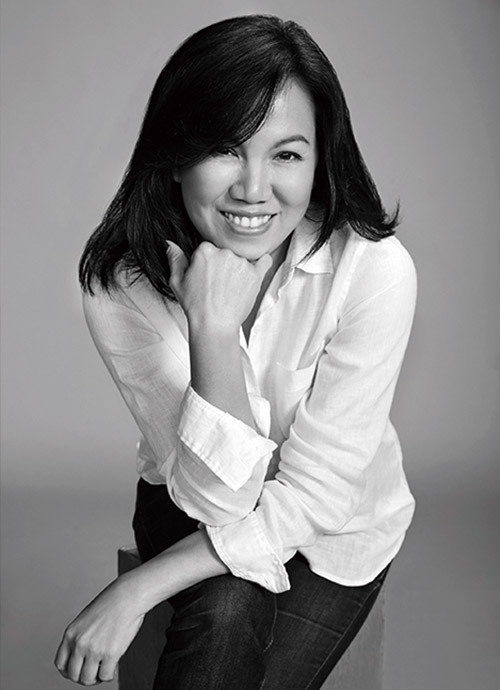 Gigi Lee, a renowned female creative in Malaysia’s advertising scene, began her love affair with art from a very young age. Instinctively, she always knew that she wanted to be an artist. And from such beginnings, she propelled herself to her current position in the industry. Along the way she cut her teeth on such brands like Tiger Beer, Guinness, P&G, Toyota, Colgate, Campbells, telcos, Danone, and others. Throughout her career, Gigi’s found herself in some of the top agencies in the country. While at the same time notching up wins at D&AD, Cannes, Clio, Spikes, AdStars, AdFest, One Show, Australian Awards, LIA, New York Fest, ANDY, Kancil Awards and more. The accolades didn’t stop there; Gigi was named Asia’s third most awarded art director by Campaign Magazine. In 2013, she was appointed Jury President for the local Kancil Awards and shortlisted for South East Asian Creative of the Year by Campaign Brief. More recently, she placed 12th on the Big Won report for ECDs in 2015 and in 2016 her MNS campaign, ‘Cut a Tree, Kill a Life’ was listed as one of the Top 5 Design Campaigns by Big Won report as well. Adobo Magazine recognised Gigi as one of the top 10 Creatives in Asia. If the advertising accolades weren’t enough, her Colgate campaign – ‘Turning Packaging into Education’ is part of a permanent collection in the MK&G Museum, Germany. With her seemingly full plate, she still manages to mentor her daughter in art, design and of course, many other ways a supermom would. Not to mention she’s actively participating in social causes like environmental conservation, sharing her expertise to brand build social enterprises, mentoring students at workshops, forums, and having that odd escape on a romantic winter holiday. Design is not just about logos, graphics or making things look pretty. Design can help create positive change – in individuals, communities, and social causes. Great design is everywhere, and exists in all kinds of media. I have been fortunate enough to work with people who love design, from NGOs to clients handling blue chip brands: 'Drink responsibly' for Tiger Beer Asia, 'Cans of Positivity' for Campbell's Soup, 'Write for Freedom' for Amnesty Malaysia, '8 lives' for Organ Donation, 'Cut a tree, Kill a life' and 'No tree, No animal' for Malaysian Nature Society, and so on. I've also been involved in social enterprises where we help brand and market products made by indigenous peoples: Muser Coffee, Silent Teddies and Yogyarkata Kotagede Silversmith. Design doesn't care who you are, where you're from, how old you are, or whether you're male or female. All it cares about are passion, attitude, and a constant desire to improve. Great design comes from a deep understanding of the business problem, and knowing how your audience thinks and behaves. Research is mandatory. As is exploring different styles and techniques. We need to try different things and have the patience and stamina to keep pushing for better ideas. Great design is powerful – it's original, visually impactful and makes the right connection with the right people. Hsiao Pei (Fiona) is the owner of Hou Brand & Packaging Design Company and currently is an Assistant Professor of Visual Communication Design Department in Asia University. She was a lecturer at Taiwan External Trade Development Council, Taiwan Tobacco & Liquor Corporation Packaging Design Class, Brain Magazine Lectures of Marketing Strategy Class, and Agriculture Association Reforming & Creative Design Leadership Class. She was also a juror for Youth Development Administration of Ministry of Education Volunteer Service Badge Design Contest, The imagine of Taiwan Tea Packaging Design Contest, and The Fine Wen Mountain Pouchong Tea Packaging Design Contest. She has been also teaching and making speeches at National Taichung University of Science and Technology, Fu Jen University, Chinese Culture University...etc. 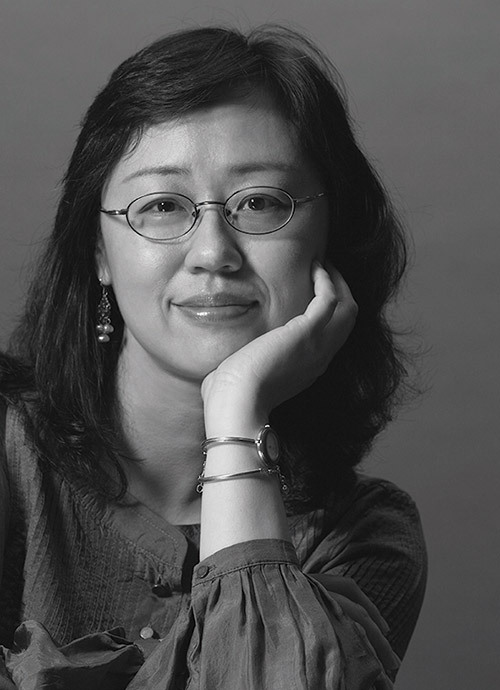 She is devoted to brand and packaging design since 25 years, and started engaging herself in teaching from 2000. There were many students have won the domestic and international design awards under her guidance over years, such as German Red Dot Design Award. Fiona's creations possesse not only the feminine refinement, but she is also considerate of Nature, Land, Culture, and has an acute perception on Art Design. 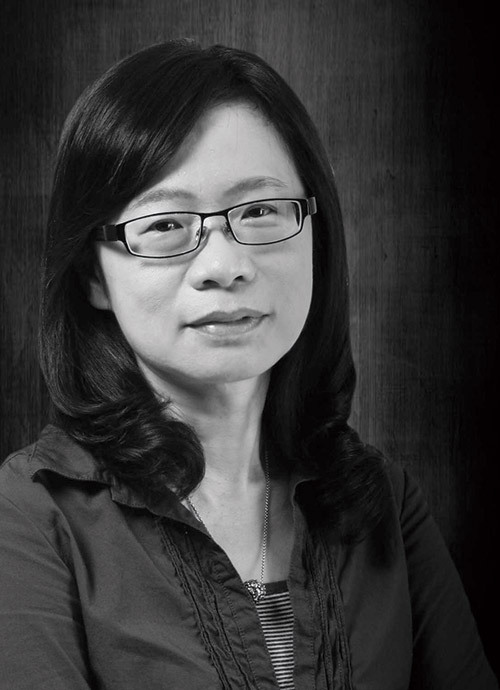 She was homered to be a 「Pioneer of Taiwan Recycling Packaging Design」, and she was also the first Taiwanese packaging designer to win the Champion of London International Awards in 1993 and 1994. She was moreover invited to attend International Biennial of Graphic Design in Brno in 2008 and Taipei World Design Expo in 2011. Fiona's major creations had been awarded many prizes domestically and internationally. 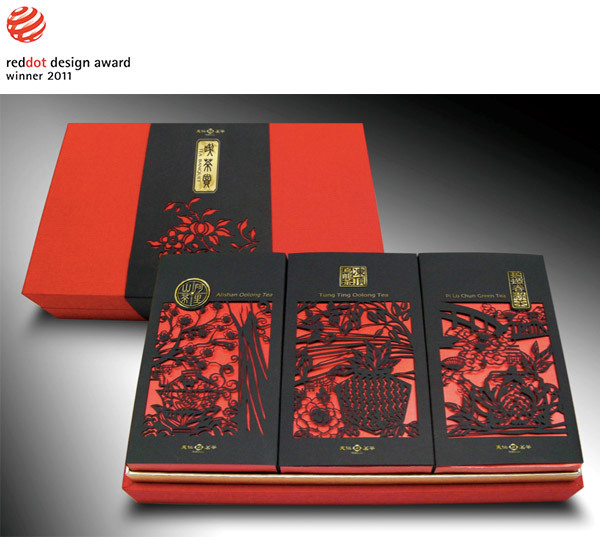 Domestic prizes such as : Gold award of Taiwan Visual Packaging Design), Gold award of Taiwan External Trade Development Council, The Champion of Golden Pin Design Award.....etc. She was also invited to attend Taiwan 100 Designers Exhibition. 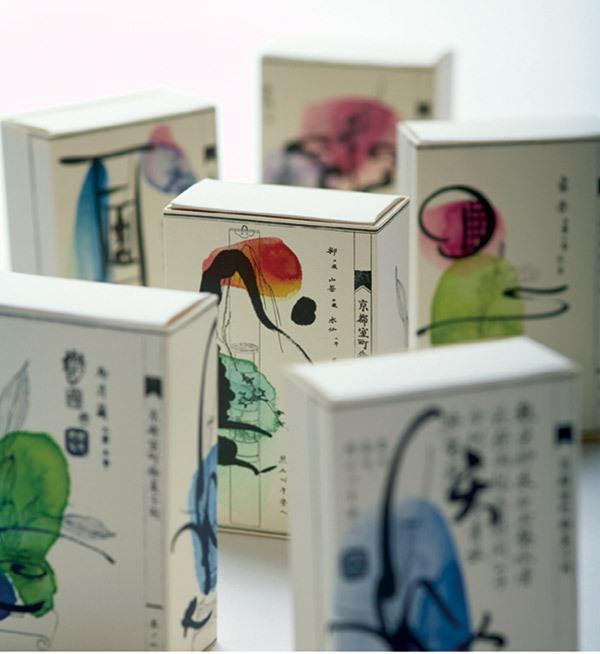 International prizes such as: London International Packaging Design Awards, the outstanding Creative Design Award of US "The Mobius" , German Red Dot Award, Award of Macau Design Biennial, Winner of Successful Design Award in Mainland China...etc. Fiona's creations and articles were carried by medias in both Taiwan and China. Her latest research thesis : The influence of Japanese product's culture on the packaging design in Taiwan. From my point of view, Social Design is more likely the human being oriented design, base on this notion of design which may improve people's wellbeing, facilitate people's life quality, furthermore to make our living environment and society more friendly. The majority of my design work is the Packaging Design, which I consider this is the best and direct way to boost the Aesthetic perception of consumers, because those commodities all surround our daily life. Apply to this concept therefore I use the local culture and traditional crafts as the foundations of my Packaging Design, and through this design to convey the different vision and tactile sense for consumers. I wish to perpetual keeping our special culture background and resources in my design and continuous develop the needs of consumers, hence to further our living quality and the esthetic sensibility. I personally think the influences of design work are more related to personal characteristics and the growing background than gender. Nevertheless as an oriental female designer, in my design, I also try to express female's unique delicacy and particular culture background in details. This is also the reason why many of the clients will anticipate a female designer when they have some specific female products. Where as the female designer is maybe easier to have the empathy with female consumers and also really touch their feelings. Gitte Kath (1948) graduated from Kolding School of Design in1972. 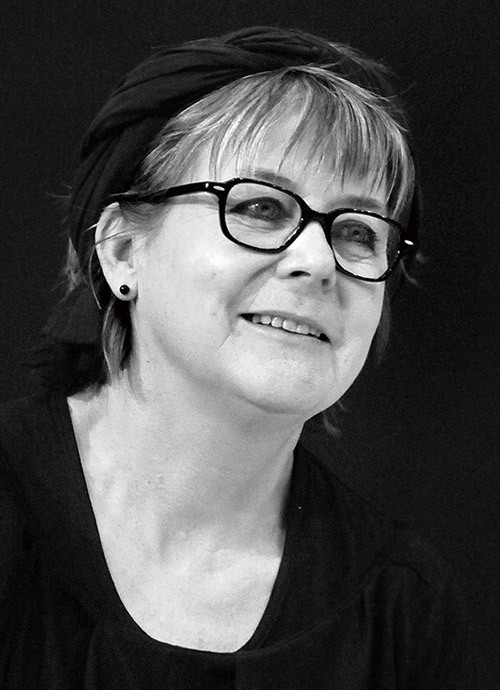 Since 1974 she has been extremely productive as a director, dramaturg, stage, costume and graphic designer at Theatre Moellen, Haderslev, Denmark, in plays for children and adults audience. From 1978 she also worked as teacher at Kolding School of Design. As a poster designer/artist, Gitte Kath has always operated outside conventional poster dogmas of easily decoded and clear-cut one-way communication, avoiding the traditional confident, straightforward poster aesthetic. Not in a proclamatory confrontation but firmly grounded on her own platform – and, initially, relatively unnoticed by the wider public – she has challenged the more predictable expectations of modern, contemporary posters from day one. No eye-catching purity of idiom, stringent minimalism, large swaths of vibrant color, forceful expressive energy, urgent shifts or conventional definitions of meaning with easily decoded messages. On the contrary. Without belonging to any national “poster school”, Gitte Kath can be placed into the category of poster artists whose practice stands in opposition to clear, nonfigurative form. Her posters hold references to traditional still life paintings, with their emblematic hints, to illusionist trompe l’oeil paintings and to surreal object poems and modernist assemblages. Incentives from Robert Rauschenberg and Joseph Beuys are evident in the textural quality of her posters, “combines” featuring a variety of painting techniques, collages and “three-dimensional” elements, just as their inspiration is felt in the posters’ cryptic and undefinable quality. On a fundamental level, Gitte Kath’s poster art has a certain kinship with informal art and its exploration of the unsettled expressive potential of materials and “shabby” things. These inspirations, references and parallels notwithstanding, across their expressive diversity, Gitte Kath’s posters clearly have their own unique anatomy and distinctive, attractive and “profound” faces. Theatre Moellen was originally a children- and youth theatre. Over the 40 years I have worked at Moellen, it has developed into becoming a theatre for all ages. Even so, my basic skills still originates in children’s theater. Here, it is a matter of stripping down and cutting away, until you are left with only the core of the story. How much can you do without and still tell it all? 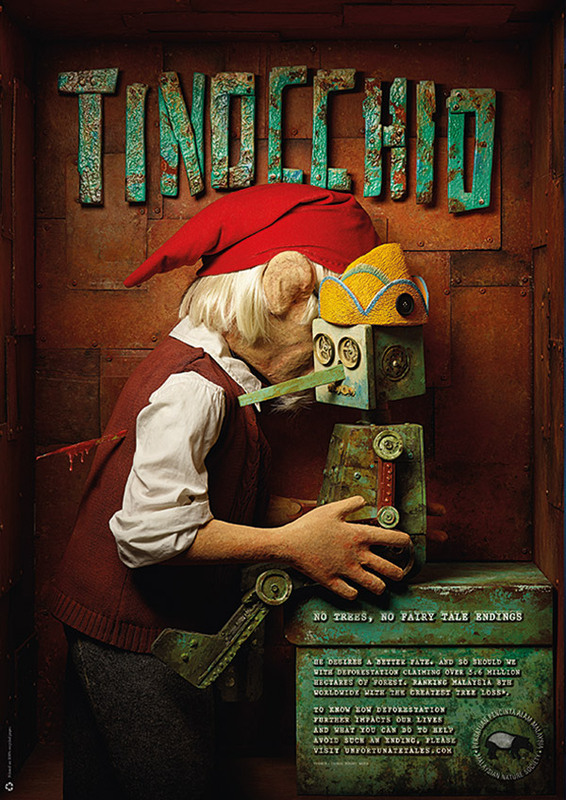 Children’s theatre teaches us to empathize with the weak, and by showing the conflict and vulnerability of life, telling true stories about being human. Sometimes people say that my posters are“female design”…. I ask myself: Is it possible to differentiate between female or male? Is it to devalue calling my posters “female”? I prefer to call it an advantage. Bolivian graphic designer, visual communicator and cultural manager with more than 25 years in trayectory. She works in his own studio with a multidisciplinary team, and has participated in several projects communication and graphic and exhibition design, visual communication and art. Coordinator of Bolivia Poster Biennial, BICeBé, Coordinator of Tipos Latinos Latin American Biennial of Typography in Bolivia. Founder and Director of Diseñadores Gráficos Bolivia (Bolivian Graphic Designers) continuous platform that seeks to create spaces for exchange and learning for the benefit of the profession and growing standards of design, visual communication, photography and illustration of Bolivia integrating with their counterparts in Latin America and the world; Women Designers | Mujeres Diseñadoras project. Director of LATAM_D, Latin American Design Project, first-person voice and highly reflective of Latin America production in graphic design and visual communication, industrial design or product, multimedia design and fashion design. Ambassador of Latino Design in the Design Council Latino University of Palermo. Recently she received the "Recognition for Lifetime Achievement in Design" by the X Plenary of the Forum of Schools of Design during the VII Latin American Congress on Education Design of the same University in Buenos Aires, Argentina. Her work has been published in Latin American Graphic Design, Logo Design 2 and Stationary Now! of TASCHEN; Basic Logo of BOOK INDEX; Design Elements: Color Fundamentals of ROCKPORT PUBLISHERS; Damn Good in Hexanine / HOW Publishers and others. 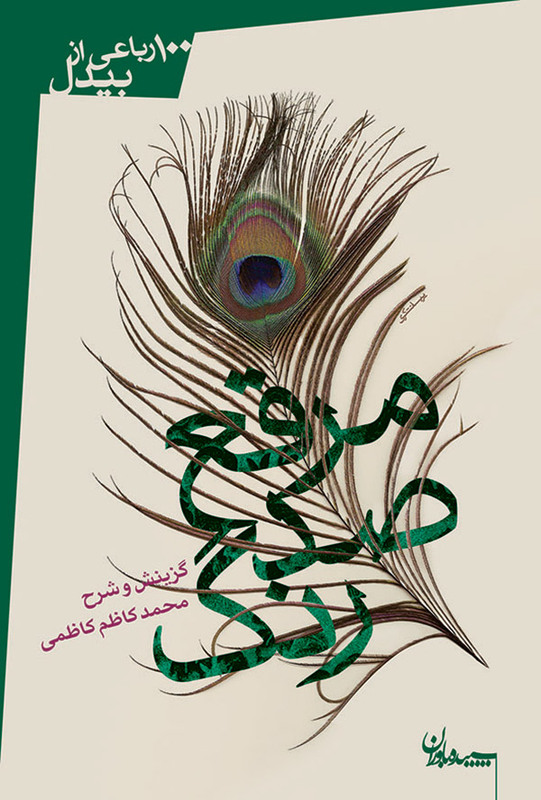 Her posters and work has been exhibited in International Biennial of Poster of Mexico, the Biennial of the Islamic World in Iran, International Saloon of Art SIART, Gallery of the BUAP in México City with a solo exhibition, as well as in France, Spain, Portugal, Italy, USA, India Iran, South Korea, Venezuela Brasil, Colombia, Perú, Argentina, among others. Invited designer at the Colorado International Invitational Poster Exhibition 2011 and 2013, and the International Invitational Poster Festival in Turkey 2013. She has been jury, lecturer and workshop professor. A designer, itself, has an important role in human communication and is a very strong tool that can change behavior favorably. The essence of each designer is in the environment of their work, where the influence is shown in their work. I think the answer or result never departs from its origin. This may reinterpret, rearrange and conceptualizing new things but always responding to the essence of their environment. If we understand this well, we probably could understand that we have a highly powerful tool and a great responsibility as transformers of our society. Design in developing countries like Bolivia should build bridges between enterprises and social projects to make them close to the people or the consumer. Improve the quality of life, bring spaces to whom never had a chance and in that way create awareness and define an identity. The path to define and accept any design product as ours and not looking outside, but quite the opposite. Every day we learn the task of improving the skills of those who will be responsible for design the future. We create spaces where such reflection define professional profiles that not only respond to a methodology and research when designing, but are aware of the topics addressed from all perspectives and mainstream content that will generate effective results and unambiguous readings. Being a women designer is a major responsibility and a truly inspiration. Our work is bold, unique and always comes loaded with a huge significance. Everything we do and design has more than one interpretation. All positive and greatly transformative. There are some work spaces where women have had to give away involuntarily to men, and in that dynamic try to look for ways to stand out. I think the design is not one of those professions. We are many in schools struggle for a place in our society and in a profession that generate communication with greater passion than perhaps any other profession. My work will always come loaded with blood, especially social posters. That same blood I see in the young people who are studying and somehow lost on the way to the exercise of their profession in life in result of their life decisions. It is time to get to identify each one of us and recognize future masters and young designers in a 50/50 within the training places and international design events. 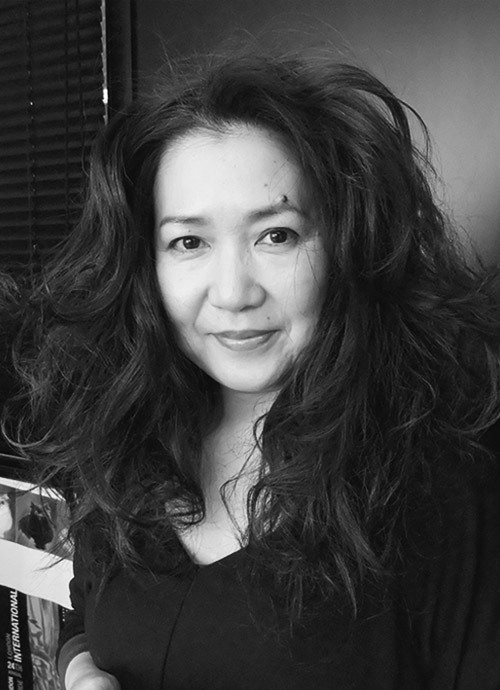 Sophia is currently a professor of the Department of Design and the Graduate School of Department of Design at National Taiwan Normal University. She is also the President of the Graphic Design Association of the Republic of China and member of the executive council the Taiwan Poster Design Association. She was awarded the Distinguished Alumni Award by National Taiwan University of Arts, and served at the Graduate School of Design Management at Ming Chuan University and at National Taiwan University of Arts as an adjunction professor. She was also the secretary general of the Taiwan Poster Design Association, a columnist of the China Daily News, a designer at Krames Communications Company in San Francisco, US, and a supervisor at the Computer Education Center at the Academy of Art University. Sophia delves in the study of visual semiotics and urban design. Her works express her vision of simplicity and universal design with a feminine touch. Actively involved in both national and international exhibitions and events, she is frequently invited as the program manager or as the judge for design contest and projects. She has received national awards in Taiwan such as the National Design Award, the Art Creativity Award, the Golden Dragon Award and also international awards including the Gold Medal of the International Visual Design Creativity Awards, the ECRM Award of the IDN International Computer Graphic Design, the Gold Medal of the International Visual Book and Poster Design, the Bronze Award of the 8th International Poster Triennial in Toyama, the Honorable Mention by Salon International De L’affiche in France, the Honorable Mention by Trnava Poster Triennial in Slovakia, the Honorable Mention by Warsaw International Poster Exhibition in Poland, the Honorable Mention by Korea International Poster Biennale, the Honorable Mention by Mexico International Poster Exhibition and the Honorable Mention by Hong Kong International Poster Exhibition. Many of her works has been covered by the media of Taiwan, China, Hong Kong, Japan, Macao, Korea, Germany, Finland, Mexico and France. And among the numerous award-winning posters, some are collected by Museums in Japan, Germany, China, Denmark, France, Hong Kong, Finland and Czech. Her publications include: Poster Arts, Duality & Simplicity in the Theory and Research of Poster Design and City Cite-A Semiotic Study of Triadic Relationship in Visual Communication. As a designer, it is impossible to escape from the society, because the audience of our works IS the society itself. Therefore, it is just nature for a designer to pay special attention to all the issues in our society, such as injustice, inequity, poverty, human right, environment, etc. Those are all very difficult, and sometimes we feel our efforts may be inconsequential. But, I believe Social Design can be a very power tool to help raise the awareness of those issues. In the past decades, Social Design has always been an important area of my works. I focused on the topics of human right, environmental protection and culture. Sometimes, people get used to and become insensitive to those issues after living with them for years. It is my attempt to use concise graphic image to bring awakening impact to people’s heart. With more people aware of the issues, hopefully, it will bring changes to our society. The society has evolved, and so is women’s roll in the society. 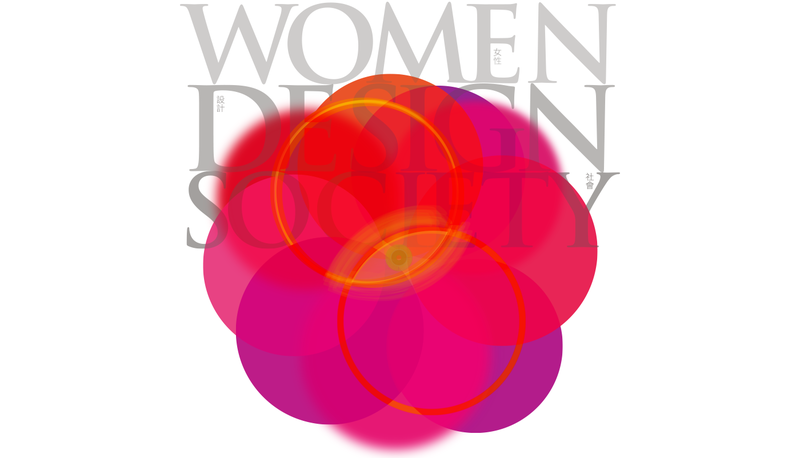 It is very encouraging that, over the past decades, the number of female designers continued to increase. However, in the meantime, the expectation from female designers is also raised. Nowadays, female designers are expected to be more well-rounded and possess diversified talents, in order to be prepared for the multifaceted, sustainable and total design of the modern trend. I am happy to be a female designer today that I have the opportunity and freedom to integrate different talents and philosophy into my works. Parisa Tashakori, Iranian graphic designer, art director and curator, was born in Tehran, Iran, where she was graduated in Graphic Design (BA, MA) from Azad University of Tehran and was granted an honorary doctorate from the Ministry of Culture and Islamic Guidance. She has collaborated as designer and art director for several international advertising agencies and cultural institutions. Now, she works as art director in her own studio, focusing primarily on social and cultural communication. Tashakori was a member of the board of the Iranian Graphic Designers Society (IGDS) and was in charge of the society exhibition section from 2012 to 2015. Parisa’s works has been exhibited over than 70 national and international exhibitions in various countries and has received some international awards including, COW! Festival In Ukraine, Ekoplagat in Slovakia, Tehran poster biennial, Ukraine Ecoposter triennial 4thBlock, among others. 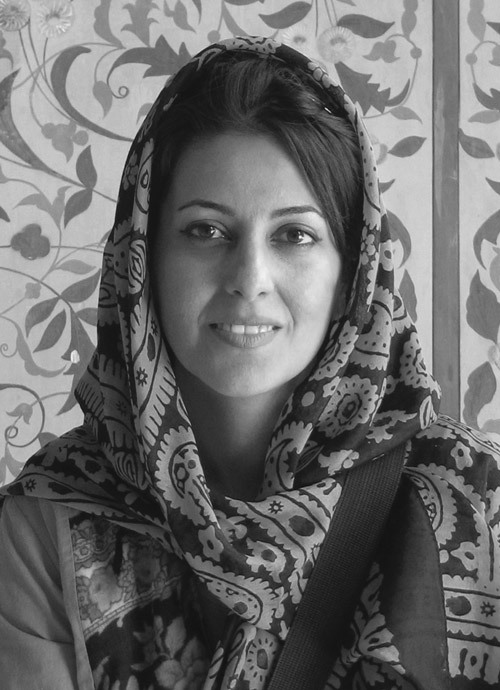 Consequently, she is the first female Iranian graphic designer who is consistently active on an international scale. Her presence in international graphic design and poster festivals and exhibitions, such as the international poster biennials in Mexico, Ukraine, France, Turkey, Tehran Silver Cypress, and Image of the Year, has been remarkable and encouraging and has set a model for other female designers. Designing social and environmental posters is of a great interest to her despite the lower demand and several installation issues it has in Iran. She sets “idea” as top priority in all her works; leading the audience to develop higher expectations and crave for more extraordinary works in the future. The impression of a female designer is also strongly evident in most of her works. Poster design, book cover or logotype; subject or client make no difference, she strives to evaluate her skills and knowledge throughout every project. But what links her works together is a call for peace and friendship alongside paying attention to humanity with a tender demeanor; and that indeed is exactly what the world today needs. I was born and grown up in a country that has always been confronted with social, economic, and political problems. My childhood was filled with happy and sad memories of the Revolution, War, the aftermath of the War, and the elections! Thus, social, urban, and human issues have been –and still are– my main concern throughout my career. Despite the world’s growing ecological and social problems, unfortunately, clients for social issues are hard to find all over the world and they often have no money to pay the designer. Thus, in order to be able to implement the ideas I have in mind, I usually create the work and then look for its client. Today, human issues are more than ever in need of attention and human emotions seem to be endangered, just like some animal or plant species! What we as graphic designers create might not make the world a better or more comfortable place for living; nevertheless, if it makes even a few people think for a few seconds or if it leads them to choose the correct path in life, then we have definitely performed a part of our professional mission. 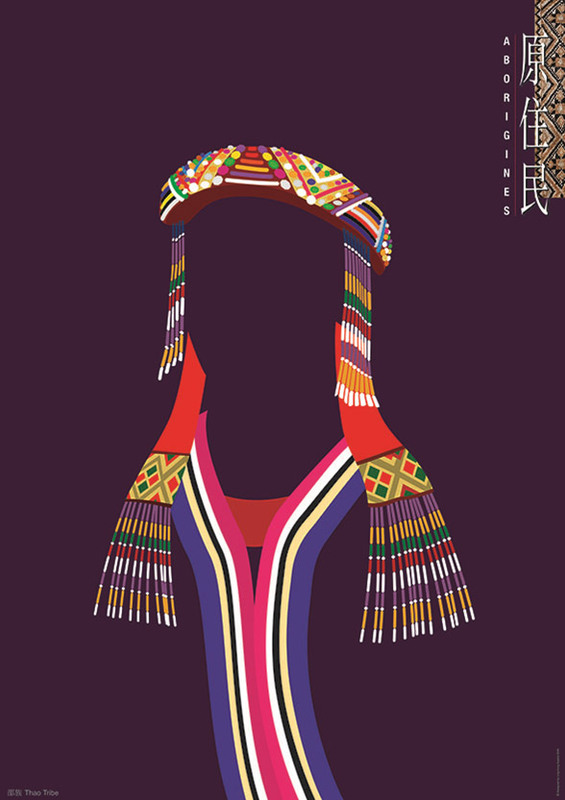 All designers are influenced by their country’s atmosphere and culture throughout their career. This impact can either be direct or indirect and unintentional. Persian art has its roots in Iran’s culture and history. Traditional handicrafts such as needlework, carpet weaving, etc. are intertwined with Iranian women’s fate, such that in the past mastering each of these arts was considered an advantage for women and girls. I clearly remember my childhood when I went to the get-togethers of female relatives with my mother. There were always women knitting clothes, scarfs, and other things for their family or embroidering them while chatting or hanging out. These recollections unconsciously influenced my work style and found their way into some of my designs. Therefore, I started stitching, knitting, cutting, and sewing my ideas. I began designing my posters and book covers with the techniques that perhaps I used to consider cliché or banal. This was probably the turning point that distinguished me from my peers and attracted attention towards my work. Born in Mexico in 1972. Studied Bachelor of Arts in Graphic Communication Design in the Metropolitan Autonomous University (UAM-X) and the Master at the Visual Art in the San Carlos Academy (UNAM). 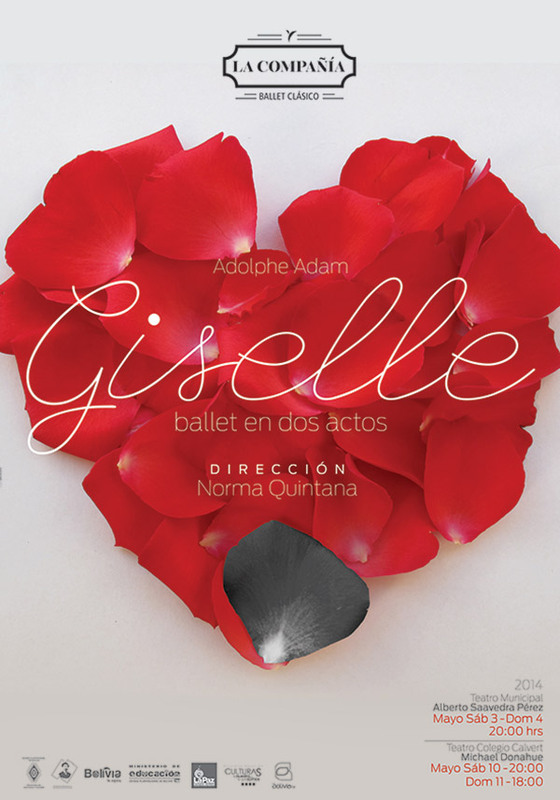 She started professionally in 1997, in which she collaborated with the National Council of Fine Arts (CONACULTA) with works for theater, dance, music. Her personal works include topics like: the violence, the hunger, the nature and the children’s rights. She won prices like: The third award in the V Computer Art Biennale in Rzeszów-Poland (2002), the Philippe Apeloig prize in Ningbo-China (2001), The Quorum award in Mexico City (2001), the third place in the XI Valle de Aosta Cinema International festival in Italy, “Stambecco d’Oro” whit the subject: “Animals and their environment. Look of the future, look after nature” in Aosta-Italy (1999), and the First place in the fourth National Poster Contest “The girls and boys rights”, with the subject of 10 years of children rights (1999), among others. Part of her works have been selected in different exhibitions around in places like: Slovakia, USA, Bulgaria, Korea, Czech Republic, China, Poland, Italy, Russia, Japan, Turkey, and Mexico. 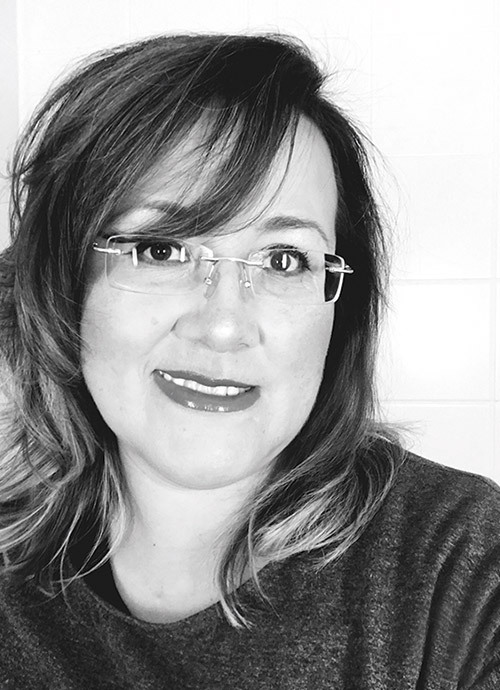 She has been part of the jury in Contests of Social Poster wherein the Good50X70 (Italy) competition and contest social cartel “Segunda LLamada” (Mexico), among others. Also she has participated in several conferences giving lectures and workshops, his work has been exhibited nationally and internationally in various exhibitions poster in places like, Mexico Slovakia, Bulgaria, France, Korea, Czech Republic, Poland, China, Italy, USA, Russia, Japan, Denmark, highlighting the Trnava poster Triennial - Slovakia in 2012 where he was guest of honor. Since 2001 has shown his work nationally and internationally in various publications such as the book "From Creativity to Innovation: 200 Mexican Designers" (Mexico, 2012), the book "One by One" (Germany-China, 2012), "Graphic Design in Mexico - 100 years," (Mexico, 2012), the magazine "KNOC" (Nagoya-Japan, 2008), the book "Master Pieces" (Slovenia, 2009), the book "Brands & Trademarks of Mexico" (Barcelona, 2009) the book "Light Plakaten" for the anniversary of the Museum Poster (Arthus-Denmark , 2004), the magazine "Designer" (Moscow-Russia, 2003), the Graphic Designers Society Newspaper "JAHAT-E-ETELAE" (Iran - 2003), among others. She has worked as Art Director for some advertising agencies in Mexico City and currently works as an art director and freelance designer and illustrator where she developed visual concepts for multi-disciplinary projects for clients like: The National Coordination of Dance of the National Institute of Fine Arts, VITARS Cultural Development, the International Theatre Institute of UNESCO, "Papalote" Children's Museum, the Experimental Theatre Group "CIRCUS RAUS" and Company "Moon Spirits" (Miami), among others. Its a responsibility to work in programs of social design, mostly in a society that needs to work on so many topics. Its so very important to aways give something to help improve our community as a designer. Personally, I’ve worked with violence against women, hunger in children, children rights and children with HIV. This topics have taken me to places and moments I could have never imagined because it[s actually looking at them, and looking at this subjects and, in the end, you live with more tan you leave with they feeling of having been able to give something more to this topics, ti give them a proper look. Over ten years ago, as a volunteer in a home for children with HIV, I started to work topics that appear due the necessity these children have because of their illness, I’ve worked alongside psychologists and social workers so I can to get closer to this topic and being able to help the children in rehab. Some topics I‘ve worked on with children an HIV are the acceptance to medical treatment and acknowledging their emotions. Being a woman places you in a particular spot in society, how has this affected my work as a designer? Simply my experiences and feelings, there’s where the emotions expressed in my pictures lie. These are not foreign topics, these are topics that move at the same speed as my work as a designer., they could never be separated because I live in a society where many things are happening. That’s go from reflecting on a lot of topics up until the declaration of the same. My view could also be the view of many other women. As Taipei becomes the World Design Capital of 2016, Graphic Design Association of R.O.C. and Farglory Museums，with the sponsorship from the Department of Cultural Affairs, Taipei City Government, host an exhibition, titled “Women X Design X Society”. It features contributions from 9 world-renowned female designers from Denmark, Turkey, Mexico, Bolivia, Iran, Japan, Malaysia, and Taiwan. The title of the event echoes the theme of Taipei World Design Capital, Adaptive City, by promoting the concepts and practices of “Social Designs” through designers’ unique viewpoints, delicate sensitivity, and professional expertise. 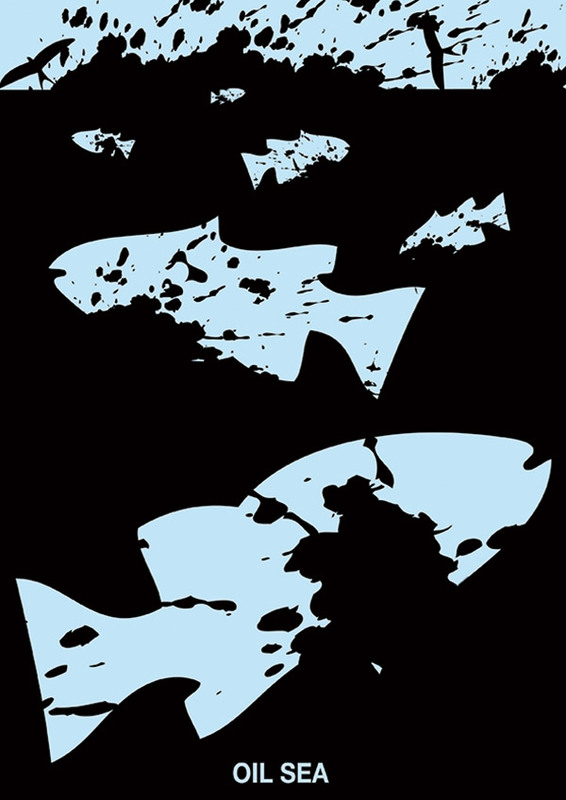 The diversified coverage includes poster designs, book designs, package designs, total designs, etc. This book is a collection of the biographies of all the designers and their works shown in the exhibition. We hope it can help to further promote the cause of Social Design throughout the society. 中華民國美術協會版權所有 © 2016 GDA-ROC All Rights Reserved.